with the area's best to design your perfect Golf Escape in Moore County, North Carolina! Davis Love III's first signature course in NC. Anderson Creek was rated 4 1/2 stars by Golf Digest in 2008 and was the winner of the “Best New Course in NC” award for 2001. This traditional layout reflects all that is great about golf in the Carolina Sandhills – rolling emerald fairways lined with longleaf pines, natural areas highlighted with love grass and perfectly manicured course conditions. The greens’ large roll-off areas and significant undulations offer a glimpse into the classic Donald Ross architecture seen throughout the Sandhills of NC. The club’s proximity to Interstate 95 as well as to the historic village of Pinehurst, make Anderson Creek a must play for golfers traveling to the area. The Mid South Club is one of the Carolinas’ most attractive private residential golf communities. Five hundred forty five acres of longleaf pine forests, lakes and gently rolling hillsides provide a backdrop for a place of beauty and serenity. The Mid South Club Arnold Palmer signature golf course offers it’s members a challenging yet enjoyable championship layout on which to test their skills. Mid South Club has 11 acres of bunkers and don’t forget your sand wedge for the 14th hole, which has plenty of sand traps and bunkers. A magnificent Arnold Palmer design on gently rolling terrain with 5 lakes. Regarded as the best in the area, so plan a replay! Willard Byrd’s golf course in an enchanting forest winds through rolling hills along Puppy Creek with a layout golfers never tire of playing. Bayonet offers the region’s largest and best conditioned practice area and with 5 sets of tees, this championship golf course has been created for golfers of all skill levels. Their goal is to provide you with the best golf experience possible by combining a quality layout with superb conditioning and friendly, courteous service. Well worth the 30 minute drive. 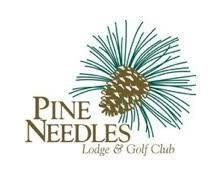 In 2004, Pine Needles underwent a grand restoration. Under the watchful eye of Ross aficionado, John Fought, greens were rebuilt, bunkers dug out and replace with fresh sand. Contours and green's dimensions were restored to original forms as shown by a series of vintage aerial photos of the course, returning the course to its original glory. Pine Needles now measures more than 7,000 yards in length with some holes being "stretched" to return the shot values that Donald Ross intended. This classic Donald Ross course has repeatedly hosted the US LPGA Women’s Open Championship and it's returning in 2022, need we say more? Situated among sky-reaching pines and rolling hills, Gene Hamm's championship golf course at Beacon Ridge presents golfers wonderful views and a challenging, diverse golf experience. A masterpiece course with Penncross Bentgrass greens and bermuda fairways & tee boxes ths par 72, with each nine returning to the clubhouse, starts and finishes with a par 5 that will require patience and strategy. This classic layout requires every shot in the bag and guarantees an enjoyable round for the skilled and beginning player alike. Located just minutes from the beautiful Village of Pinehurst, North Carolina, Beacon Ridge Golf & Country Club is a favorite with locals as well as the numerous golf visitors, the Pinehurst area attracts each year. Beacon Ridge also boasts the largest lake in Moore County, Lake Auman which is three miles long and two miles wide, and the earthen dam on the south side is the largest of its kind east of the Mississippi. Designed by golf's legendary Gary Player, The Holly Course is the perfect compliment to The Magnolia. The Holly features fewer bunkers, more water and smaller greens. Vast areas of pines were left untouched, and the course features numerous natural waste bunkers. The design utilizes the property's many lakes and streams winding through wooded areas. Multiple tees present a variety of challenges, but the course is definitely playable for golfers of all skill levels. Originally designed by Gene Hamm, The Magnolia opened in 1989 and within two months was ranked one of the top 50 courses in the southeast by Golf Week. In 2006 a redesign included new challenging greens, bunkers and cart paths resulting in a fantastic lay-out boasting vast elevation changes, generous driving areas. The Magnolia has been a qualifying site for many US Open Championships, US Amateur Championships and PGA Tour School Qualifying. The first of the two 18-hole courses that make up the Carolina Trace private golf community is the Lake Course. Designed by Robert Trent Jones, Sr., the Lake Course opened for play in 1971. Jones, Sr.'s creativity of design is apparent in the Lake Course and remains visible on every hole. The Lake Course winds around the 315-acre Lake Trace with such captivating views that maintaining focus on ones golf game can be difficult. The second eighteen at this private golf community is the Creek Course, which opened for play in 1979. The Creek Course features dramatic elevation changes, rolling terrain, and a meandering creek interspersed among the 18 holes. The narrow fairways are Bermuda grass with the greens featuring Crenshaw Bent grass. Maybe a bit of a drive from the Pinehurst area, but with two courses and great replay rates to play two courses in the same day without the drive between rounds! The Preserve combines the course design talent of Love & Associates, with the player design skills of principal Davis Love III to provide an outstanding golfing experience. The rolling, heavily treed North Carolina countryside has been skillfully molded into a championship course reminiscent of old traditional courses. Nestled within Jordan Lake’ community is one of the best golfing experiences in the Triangle has been designated as an Audubon International Certified Sanctuary Golf Course offering players an experience both beautiful and challenging. Voted one of America’s Top 40 new golf courses by Golfweek Magazine with its Bermuda fairways and greens, this is an experience you won’t want to miss. The Golf Club at Chapel Ridge combines the course design talents of Bob Moore, ASGCA and the player design skills of Fred Couples to provide you with as fine a golfing experience as you will ever have. This magnificent layout with its rolling hills has been skillfully molded into a championship course reminiscent of the older traditional courses found in the United States. With its bent grass greens and Bermuda fairways, Chapel Ridge is located north of Pinehurst, NC and a great stop to or from RDU. The Golf Club at Quail Ridge in Sanford, NC was designed by Ellis Maples and opened in 1967. In 2017, the course was purchased from the long-time owners and after major renovations of new Champion Bermuda Greens, new TifTuf Bermuda Fairways and bunker reconstruction the course reopened in October of 2017 to rave reviews. Just a short drive from Pinehurst on US Hwy 1 it’s and on the way to or from RDU. This par 72 golf course has a course rating of 72.8 and a slope of 127. Carved from magnificent pine forests, with a 70+ acre lake on the property, Deercroft offers one of the most scenic and challenging tests in the North Carolina Sandhills. Golf Digest has described Deercroft as the "Best Kept Secret in the Pinehurst area". Spend a day at Deercroft where nature is your partner and golf is at its finest. A short 20 minute drive from the Pinehurst area, Deercroft offers a good challenge and great scenery as well. Designed by Peter Tufts lll, godson of Donald Ross, 7 Lakes is consistently on the Top 100 Courses of NC. New ownership has transformed this classic into an “All Inclusive Resort Experience” including lunch and 2 beverages with all rounds, truly a must play! Choose 7 Lakes and discover not only a “Golf Course of the Year,” but the beauty that is Sandhills, NC. A favorite among traveling golfers, as Golf Digest says, you can “plan your vacation around it”. Traditional golf at its best. Come experience two of the finest layouts the Village of Pinehurst has to offer. You will fall in love with both of our superbly conditioned Gene Hamm designed classics the East and the West courses. Both rely on natural contours of the land and challenge all players with tree-lined fairways, strategically placed bunkers and generous greens. 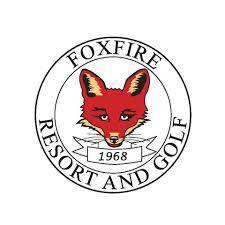 Play at Foxfire and will be rewarded by the natural beauty and great conditions of which the Sandhills are famous. The courses were recently ranked 3.5 stars by Golf Digest's Places to Play Guide and both are well liked and popular among locals as well as golf package groups to the Sandhills area. A good facility to get in 36-holes of golf without the drive between rounds! Southern Pines Golf Club is a Donald Ross original design, a short course, but still a good challenge. A benefit of Southern Pines is that you get to play a great course, great layout, without paying the premium price of other Ross designs. Enjoy the most traditional aspects of the game of golf - rolling terrain, uninterrupted shot making and a journey back to golf from its beginnings. As a classic layout, it is challenging for golfers of every skill level, with few forced carries of great length and many greens open in front to allow for the bump-and-run style that was characteristic when the first 9-holes were built in 1906. It is rare to find a Donald Ross course where no re-routing, no housing, and little re-working have affected the course in its 100 year history. Southern Pines Country Club is a walkers delight and is ideal for winter play. 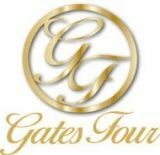 Gates Four’s must see 18-hole championship golf course, includes both new bent-grass greens and renovated bunkers. Designed in the traditional style by acclaimed golf course architect Willard Byrd in 1967, the remarkable must-see redesign was completed by Kris Spence in 2011. With the renovation, Gates Four now boasts state-of-the art USGA-specified greens, a blend of A1/A4 bent grass to provide an optimum putting surface year-round. Discover how exciting and challenging our newly renovated course can be for all levels of golfers while enjoying the atmosphere of a full-service, private club. Designed by Rees Jones, this course is visually striking & exceptionally enjoyable. The greens have been restored to original Rees Jones 1991 design, resulting in a 20 percent larger putting surface and 60-inch Tif Eagle Bermuda green collars. The new Champion Bermuda greens provide significantly better playing conditions put Talamore’s greens on par with the other top courses that have made the switch - Pinehurst No. 2, Country Club of North Carolina, Pine Needles and Mid Pines. The course feels and is bigger with the fairways opened up, limited rough and the removal of excessive bunkering and 75% of the bunkers eliminated. Reshaping of certain areas help cart flow and have decreased pace of play by 30 minutes. 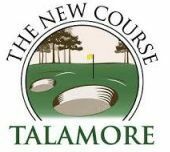 Talamore is the only course in the Pinehurst area with multiple sod wall bunkers and soon to come sod wall bunker cams! Regarded by many as their favorite course in the the Village of Pinehurst area, the newly restored Hyland Golf Club offers the highest elevations, tall pines, sparkling blue water and immaculate conditions. Under new ownership, Hyland Golf Club features new greens, manicured conditions and a new outlook toward providing the best customer service and experience in the Sandhills. Golf Digest rates Hyland Golf Club 4-Stars in their 2009-2010 Best Places to Play Guide. You are invited to enjoy golf as its inventors intended, this Sandhills experience will take you back to a time where every shot in your bag was tested. “Thriller Golf” best describes this masterpiece. Uncommon beauty & imagination feeds the soul while challenging every aspect of your game. You’ll talk about this one for years to come! Carving his way through an old sand quarry, the late Mike Strantz created one of the most celebrated and talked about courses in the world. Consistently rated amongst the nation’s best, Tobacco Road showcases 18 drop-dead signature holes set amidst rolling Sandhills and golden love grass. Tobacco Road has been rated as high as 2nd in slope in both North and South Carolina just behind the famed Ocean Course at Kiawah Island. Therefore, we do not guarantee your best round on your first trip ’round The Road, but we are certain you will remember the ride! Simply put, Tobacco Road will be the most fascinating, heart-racing and fulfilling golf experience you will ever play. Experience Legacy’s new look! Renovated in 2011 with brand new bermuda greens, Legacy is a must play when visiting the Sandhills. Legacy Golf Links was designed by the Jack Nicklaus Golden Bear Design team under the direction of his son Jack Nicklaus II. Legacy Golf Links is proud to be one of only three courses in the Pinehurst NC area that has played host to a USGA National Championship. Legacy has been awarded 4 ½ stars by Golf Digest and was selected as one of the Top 50 Golf Courses in the country for customer service. Legacy features four of the best par threes in the Sandhills area and you won’t soon forget Legacy's 8th hole; properly nicknamed ‘The Bear’. What a challenge for every golfer from the first tee to the final green, Legacy's layout makes it worthy of its heritage and one of the most popular courses in the area. Another exceptional Mike Strantz design nestled in the Uwharrie Mountains. Soaring rock formations & majestic terrain provide breath taking shots. Winding through a maze of magnificent rock formations and creeks, Tot Hill provides its players with a vast array of heart-pounding shots and breathtaking views. The course features five sets of tees to challenge players of all abilities and the expansive greens offer a variety of demanding pin placements. The club is conveniently located 3.5 miles off Highway 220 South in Asheboro, NC, making it a perfect stop for those traveling through to Pinehurst and Myrtle Beach. If you have played the other Strantz greats like Tobacco Road, Caledonia, True Blu, you will want to stop and take on "The Hill". Before Dan Maples transformed it into one of the area’s most popular and playable courses, the site had been a training facility for some of America’s top thoroughbreds. As a tribute, Dan incorporated into this quality design, elements from the original estate, including part of the old training track. The course features both a subtly rolling Scottish style front nine and dramatic elevation changes on the wooded back nine. Its 200 foot elevation changes, winding rivers and thick forests, unique terrain and natural features, define Little River as a must-play for all! The Pines course (formerly the East) and its length, combined with the subtle terrain changes, is a true “inland links” course. The generous fairways, large renovated bermuda greens and varied teeing areas give golfers of all skill levels fair challenges. The open, hardpan rough is sparsely covered with pine straw and “love grass” to create the elements that appealed to the late, great Donald Ross. The River Course (formerly the West) will remind you of the courses in the foothills of North Carolina. Though it plays much shorter, the River Course demands more accuracy than distance. “Shot making” skills are necessary to navigate the terrain. With the elevation changes, towering oak trees that line the fairways and trees overhanging the small Bent Grass Greens and thicker rough make tee shots a premium. One of the most playable courses in the area. A Dan Maples’ design on a once training ground for top thoroughbreds. A pleasure to play! Longleaf Golf & Family Club combines the best of a classic Dan Maples design with the innovative and detail oriented renovations of well-respected architect Bill Bergin - to create one of the most enjoyable, aesthetic and best conditioned values in all of the Carolinas. The birthplace of the famed Longleaf Tee System, the course provides an easy to use method of ensuring players optimize their experience by playing from one of seven tees that best corresponds to their abilities. With newly installed Mini Verde greens, the layout offers outstanding conditions along with all the challenge and scoring opportunities any great golf course should offer. This hidden gem is certain to be a big hit among players with an expectation of excellence and fun! Over thirty years ago, Ellis Maples, inspired by a picturesque, rolling track of land in the Pinehurst NC area, carved out another challenge for golfers in the Sandhills. His work, the Whispering Woods Golf Club Course, stands as a credit to him and a pleasure for many. Dan Maples, son of Ellis and renowned golf course architect in his own right, described Whispering Woods this way: “It is a golf course designed with the average player in mind, but good players won’t find a pushover. Golfers experience left to right, short shots, long shots, uphill and downhill holes.” Picturesque par 3’s & imaginative par 5’s will use all your sticks. Whispering Woods underwent a major renovation in 2013, with the installation of 18 brand new Champion Bermuda Ultradwarf greens. The friendly staff & the classic Ellis Maples design makes this one a hit! One of the most serene & relaxing courses in our area. The Mid Pines course remains exactly as Donald Ross numbered and routed the course in 1921. Impeccably manicured to modern standards, Mid Pines is a classic gem, a rarity among Ross’s masterpieces. Many people have characterized the course as "pure Donald Ross" because of how it fits the land where it was built. It has few forced carries, artificial or contrived holes. It's been said that Mid Pines was never conceived as a daunting task to the finest players competing under championship conditions...Mid Pines was intended simply as a fun course with adequate challenge for members and guests of a private club and resort. The Sunday Brunch is must!